Marjorie Carlow Marsh was born January 21, 1928 in Muskogee, Oklahoma to Andrew J. and Elsie M. (Wright) Carlow. She passed away November 14, 2018 after a brief illness. 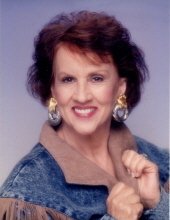 Marjorie had lived in Sarasota, Florida for 35 years where she was a real estate agent. She was united in marriage to Lee Marsh in 1949 and lived in Oklahoma for many years. Marjorie was a devout woman of Christian faith all of her life, and she passed down that faith to her children and grandchildren. She was later united in marriage to Linsey Dean Owens in 1990 in Sarasota, Florida. In December 2016, she came to live with one of her daughters in Norman and recently moved to assisted living. Marjorie was a talented pianist and taught lessons for many years. She graduated from Muskogee High School and attended the University of Oklahoma in music, later graduating with a bachelor’s degree from Oklahoma State University in Stillwater. Survivors include: two daughters: Melanie M. Bailey and husband Jack of Norman and Elaine M. Imel and husband Ben (deceased) of Wellston, OK; four grandchildren: Nicholas Bailey and wife Morgan of Denver, CO, Natalie Bailey of Denver, CO, Parker Imel and wife Cassie of Broken Arrow, and Hayley Leatherwood and husband Grant of Edmond; three great-grandsons: Harrison and Connor Bailey and Benjamin Imel; and nephew Jack Carlow of Broken Arrow. Marjorie was preceded in death by her parents, brother Jack Carlow, and nephew Steve Carlow. Contributions in Marjorie’s memory may be made to Food and Shelter for Friends in Norman (http://www.foodandshelterinc.org/donate/). Funeral services will be held at 10:00 am on Saturday, November 17, 2018 at Immanuel Baptist Church, with Pastor Jason Frost officiating (1777 E. Robinson St, Norman). Interment will follow at Sunset Memorial Park in Norman. Visitation will be held at the funeral home’s downstairs event center from 6:00-8:00 pm on Friday, November 16th. To plant a tree in memory of Marjorie Carlow Marsh, please visit our Tribute Store. "Email Address" would like to share the life celebration of Marjorie Carlow Marsh. Click on the "link" to go to share a favorite memory or leave a condolence message for the family.